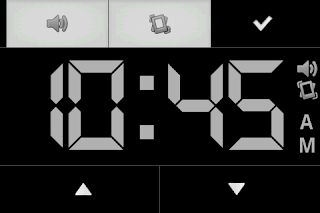 Digital Clock from Social & Mobile. Big dispaly clock and dim screen turn your phone into a bedside clock. 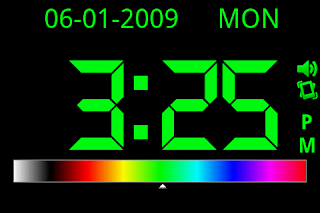 You can change color, brightness and font of screen with an easy UI and set music as an alarm to wake you up feeling good. Change your alarm clock to this one. 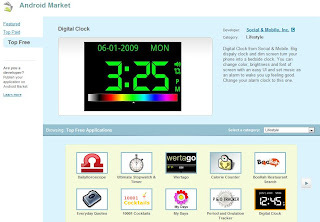 'Digital Clock' is introduced as one of the top free application of lifestyle category on the android market web site. - Đạo hữu có thể có được những thần thông và pháp bảo như vậy, cũng không phải là hạng người vô danh, mong rằng hãy lưu lại tục danh ! - Hứa đạo hữu tuy chưa đạt tới Khuy Niết Kỳ, nhưng với thực lực của ngươi, bọn ta cũng không thể ngăn trở, có tư cách để đi vào Tàng Phẩm Các ! - Hứa đạo hữu và Hứa gia ở Đông Lâm Tinh có quan hệ như thế nào? Vương Lâm thần sắc như thường, nhìn về phía người đang nói. First of all: Congratulation it really a great app, I had it I loved it! But after a FW-Update I wanted it to re-download but now I can't find it in the market!?! Like the app, but it is driving me crazy because I don't know how to shut off the alarm to prevent it going of every day. Please document that somewhere, and make it more intuitive. Great app - thanks. I sure could use an added feature - a countdown timer. I'd like to set it to say 30 minutes and have it count down then alarm. This way I could use it for timed tests and exercises. Have you removed this app from the market? 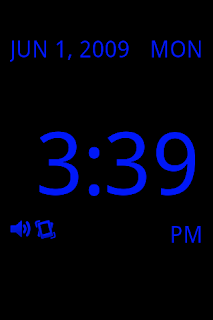 I was using it and the Digital Clock widget for months but since applying the forced updated Rogers imposed on us Canadian HTC Dream/Magic users I can no longer find it in the Market. I can download the widget but not the app. Is there anyway I can get it back? I really miss it and it was a great app for my very poor eyesight. email me if you need. BUT the settings I make are not persistent. Please save settings to flash so that when it restarts it remembers previous settings, and we don't have to setup all over again, thanks! Come posso fare ad avere le istruzioni per l'utilizzo del orologio digitale? It's not working properly on the CLIQ XT. Who do I contact for resolution?? Thanks! LOVE your Digital Clock app however the buttons on the Incredible stay lit at night, too much light. Kewl stuff. I agree with Lady-Di, need to turn off the Home/Menu/Back/Search buttons on the HTC Version. It is a separate lamp in the phone, and may require a special hook in the API. I would also like to dim the backlight for the main screen a bit further, but that may be a hardware limitation. Display 1:05 AM as "01:05"
In other words, 24-hour display mode always includes leading "0"s.
It's a great app and I love use it. For me, the main advantage is simplicity of use (very handy widget). He lacks the ability to record several hours of alarm (2 at least but 3 or 4 alarm times would be better). I'm the developer of Sleep Bot Tracker Log (featured at: http://lifehacker.com/5650915/sleep-bot-tracks-logs-and-analyzes-sleep-patterns). With our latest release, we'd like to alarm clocks to integrate with SleepBot. This way, SleepBot will not have to implement its own Alarm Clock and the Alarm Clock app can track the sleep and awake time. This way both applications will be more complete and will not be competitors in the future. So far we have put up a Wiki Page for other developers to use : http://wiki.mysleepbot.com/index.php?title=Android:_API, if you are interested, please contact us back. I like this app because of the color setting: Purple. However, for some reason I cannot turn this alarm off. Or am I not seeing a disable option. It keeps alarming and now I have to mute the sound. I do not want to uninstall the app. Is there a shut off option I am just not seeing in Alarm or Settings? Or maybe I have to shut it off elsewhere I just thought. I think the alarm is linked to the main alarm on the Android phone. I just disabled the main alarm clock and I think it works. I had thought initially Digital Clock alarm was separate from the main one. If this is the solution, there is no need for a response. Thank you. Good work, I an searching for this type of app from last few days and finally I found it. Thanks alot. Merchant banknote beforehand allotment is adjustable and account claim bulk varies with your business performance. While accepted coffer loans force you to accord a anchored bulk every ages and allegation you abundant penalties for missing your accommodation claim due dates, merchant banknote beforehand imposes no such conditions. You agreement a anchored allotment of your approaching acclaim agenda sales to the beforehand providers.